Breakfast served daily and included in room price. Evening sauna is free of charge on weekdays. With an extra cost the sauna can be reserved for private use. The lobby bar is open Mon-Sat from 2.30 pm until 11 pm. 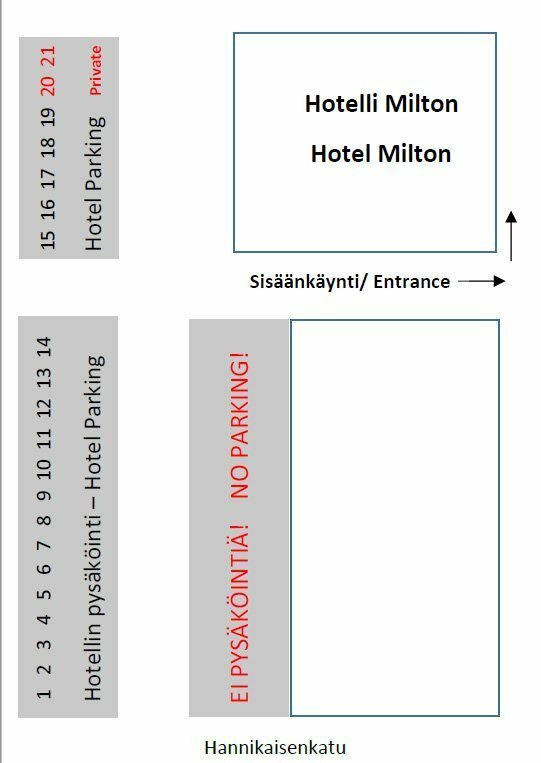 Our hotel has 19 parking places of our own and they are free of charge. Unfortunately they can´t be booked beforehand. There is also a big public parking area in front of the hotel. On weekdays parking there is free of charge between 20.00 – 08.00 and Saturdays starting from 16.00 until Monday morning 08.00.